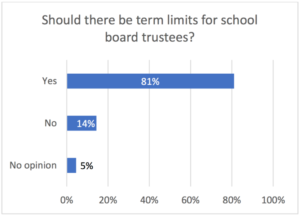 Just two weeks ago, we asked parents, neighbors, and concerned community members to participate in a survey by the San Diego Unified School District to determine the public’s priorities concerning proposed changes to the school board election process. This Friday, May 11th, the survey results were released to the public. 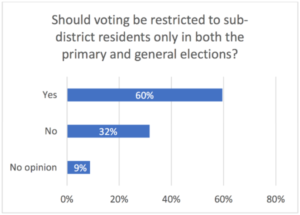 With your support, 60% of parents and education advocates voted YES for sub-district elections, and a whopping 81% said they support term limits! The message is clear: San Diego deserves a school board with fresh talent AND elections that are fair and consistent. We’ve got the momentum, but our work isn’t done yet. The school board may have heard our calls for change, but it is the City Council that decides whether to move forward with these changes. It only takes a few clicks to sign our online support letter to the San Diego City Council! The future of San Diego rests on the quality schools we provide to our students. We cannot have quality schools if our school board does not reflect the diverse communities that make San Diego unique.